Modern living is intimately connected to the use of electronics. Food shipment, preparation, and storage all depend on refrigeration and other technologies. Critical medical systems must be connected to the power grid. The lights that govern daily life, work, and even traffic are all fed by the nation’s power system. Without power, life in the United States would come to a halt. It should thus come as no surprise that policymakers are concerned about the threat of an electromagnetic pulse weapon, or EMP. EMP weapons have the ability to cripple a nation’s power systems. In fact, a specific type of EMP called the high-altitude EMP, or HEMP, has the capability to neutralize power across the continental United States. Because of the nature of the threat, the United States should take measures to prepare for potential HEMP attacks, including the hardening of US critical infrastructure and the prevention of nuclear proliferation. 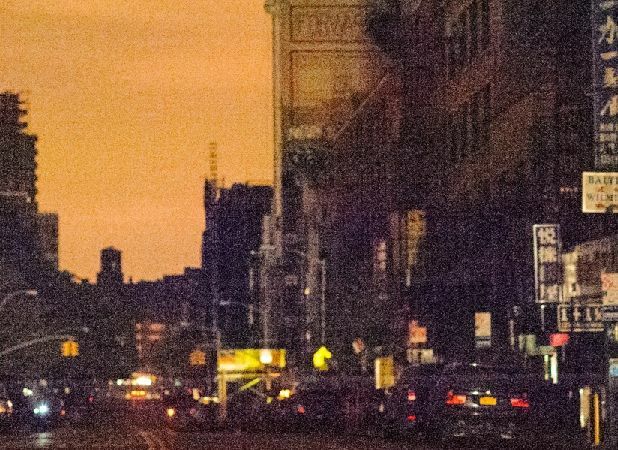 Past blackouts unrelated to EMP have caused severe damage to the nation’s infrastructure. 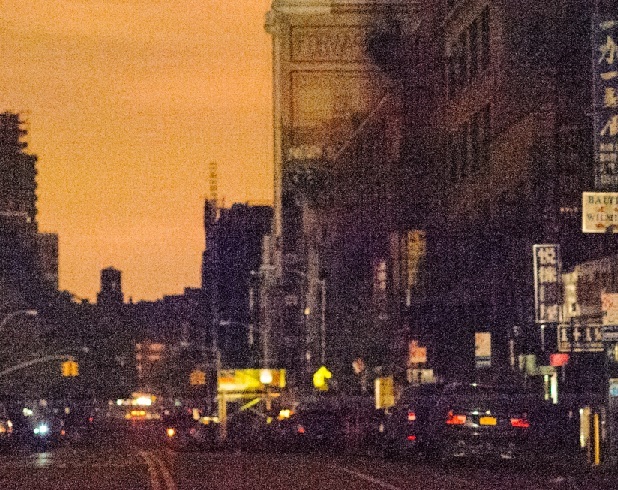 The August 2003 Northeast Blackout shut down more than 200 power plants in the United States and Canada, including a few nuclear power plants. Estimations put the cost of this blackout at $7-10 billion in spoiled food, overtime wages, lost work, repair, and other expenses relating to the disaster, which affected more than one-seventh of the US population.10 If this local blackout was able to cause so much damage, a continental HEMP attack would be vastly more destructive. There is a fear that ICBMs may be used to launch HEMPs, but that scenario remains unlikely. Only the United States, France, Russia, Britain, and China possess the necessary ballistic missile capabilities. Nuclear weapons have not been used in an attack anywhere since 1945. The concept of Mutually Assured Destruction, or MAD, applies to the use of nuclear missiles as EMP weapons. Such an attack on the US mainland would necessarily represent a nuclear attack; there is little doubt that the United States would respond against the belligerent in full force. US nuclear capabilities would remain fully intact after a HEMP attack.1 Any potential state actor contemplating a HEMP attack would likely be deterred by the United States’ overwhelming nuclear retaliation capabilities. It is true that Russia, China, and possibly North Korea are working on developing “super” EMPs: a smaller-yield nuclear warhead that is optimized to produce E1 gamma rays.7 Yet these nations are likely producing these weapons for defense and deterrence—not attack. A smaller, regional HEMP attack, however, is not outside the capability of a number of independent actors. Terrorists or rogue states do not have the capability to create sophisticated ICBMs; however, they might acquire a 10-100 kiloton warhead and short or medium-range missile capabilities. Such a missile could be launched from a freighter outside of US territorial waters, eliminating the need for an ICBM. It would not reach the altitude necessary for continental coverage; however, the resulting E1 radiation could neutralize the power for a smaller region of the country, around the size of the average US state.10 According to the House Committee on Homeland Security, Iran has practiced ship-launched EMP attacks with the use of Scud missiles. Numerous nations and even some terrorist groups possess short-range Scud missiles.9 Of the nearly 128,000 nuclear warheads created since 1945, many are currently unaccounted for.3 While it is unlikely that terrorist will obtain a nuclear weapon, it is not outside the realm of possibility. One proposed solution involves hardening US electrical infrastructure against EMP attack. The United States has already hardened its nuclear triad, its missile defense systems, and other critical components of US defense systems.6 The Department of Defense has created initiatives to reinforce US military assets against EMP.12 Most commercial and civilian power structures, however, remain unprotected. Estimates by the House Oversight Committee find that this process would cost $6 billion total or around $1.4 billion to protect only major grid control centers.9 While the cost is high, the damage caused by an HEMP attack is likely to be astronomically more expensive. Critical power structures could also be hardened gradually over a multi-year period to make the process more affordable. Scott Steward and Nate Hughes, “Gauging the Threat of an Electromagnetic Pulse (EMP) Attack,” Stratfor Global Intelligence, 9 September 2010, https://www.stratfor.com/weekly/20100908_gauging_threat_electromagnetic_pulse_emp_attack. Michael McCaul, “Electromagnetic Pulse (EMP): Threat to Critical Infrastructure,” Subcommittee on Cybersecurity, Infrastructure Protection, and Security Technologies Committee on Homeland Security, 8 May 2013. https://homeland.house.gov/files/documents/05-08-14-Perry-Open.pdf. Collin R. Miller, “Electromagnetic Pulse Threats in 2010,” Center for Strategy and Technology, Air War College, Air University, November 2005, http://www.au.af.mil/au/awc/awcgate/cst/bugs_ch12.pdf. Federation of American Scientists, “Nuclear Weapon EMP Effects,” 21 October 1998, http://fas.org/nuke/intro/nuke/emp.htm. 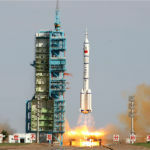 Global Security, “Nuclear Weapon EMP Effects,” http://www.globalsecurity.org/wmd/intro/emp.htm. Matthew Fargo, “The EMP Threat: Examining the Consequences – A Recap,” Center for Strategic and International Studies, 14 September 2012, http://csis.org/blog/emp-threat-examining-consequences-recap. Peter Vincent Pry, “Electromagnetic Pulse: Threat to Critical Infrastructure,” House Committee on Homeland Security Subcommittee on Cybersecurity, Infrastructure Protection, and Security Technologies, 8 May 2014, http://docs.house.gov/meetings/HM/HM08/20140508/102200/HHRG-113-HM08-Wstate-PryP-20140508.pdf. Michaela Dodge and Jessica Zuckerman, “EMP Awareness Day: The First Step to Averting Disaster,” Heritage Foundation, 15 August 2013, http://www.heritage.org/research/reports/2013/08/emp-awareness-day-the-first-step-to-averting-disaster. George H. Baker, “Joint Hearing on ‘The EMP Threat: The State of Preparedness Against the Threat of an Electromagnetic Pulse (EMP) Event,’” House Committee on National Security and the House Subcommittee on the Interior of the House Committee on Oversight and Government Reform, 13 May 2015, https://oversight.house.gov/wp-content/uploads/2015/05/Baker-Statement-5-13-EMP.pdf. William Radasky and Peter Vincent Pry, “Rebuttal to ‘The EMP Threat: Fact, Fiction, and Response,’” The Space Review, 6 July 2010, http://www.thespacereview.com/article/1656/1. United Nations Office for Outer Space Affairs. 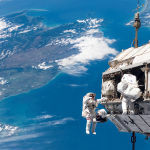 “United Nations Treaties and Principles On Outer Space,” 1 February 2002, http://www.unoosa.org/pdf/publications/STSPACE11E.pdf. Department of Defense, “DoD Electromagnetic Environmental Effects (E3) Program,” 8 January 2015, http://www.dtic.mil/whs/directives/corres/pdf/322203p.pdf. Spencer Kolssak has created 14 entries. From 2007–2018, The Intelligencer has been Patrick Henry College’s intelligence and international relations journal. To learn more about The Intelligencer, visit our about page.